interactive communication between vendors, lenders, colleagues and consumers. Welcome to 'The NCS Perspective,' the new weblog for National Credit-reporting System, Inc. We look forward to lively – interactive – communication with our colleagues in industry and government, as well as our Alliance Partners, clients, and the end users we collectively serve. NCS is a full-service consumer-reporting agency specializing in income, identity, and credit intelligence. Based in South Jersey, we support lenders, benefit providers, and information verification entities across the country with a range of risk-reduction services that go far beyond simple validation. In that spirit, The NCS Perspective will go beyond products and services to provide valid – validated –commentary that is insightful and informed. Robert Knuth founded NCS in 1978 on a foundation of ethical business conduct that continues to define NCS today. It will guide how we choose – and address –– our topics of concern. Just as credit grantors need the full truth that NCS' TRV® Services delivers in order to provide high quality consumer lending, reliable information is necessary for financial companies to spot trends and adjust to changing regulations. That means not repeating what is flying around the blogosphere, but checking it against facts and obtaining any interviews that will add clarification. Just as NCS’ services go beyond simple validation to provide high-quality information and analytics for accurate decision-making, The NCS Perspective will go beyond the press releases and posts to find out the truth. 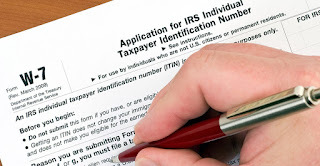 When NCS created TRV (Tax Return Verification) Services it became the first organization to provide income and ID verification through the IRS on a nationwide basis. 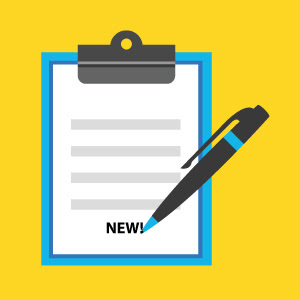 On January 3, NCS announced a partnership with eSignSystems, a provider of electronic signature platform, that allowed us to begin processing eSigned 4506-T forms on January 7, the first day the IRS began accepting them. NCS was an important part of the 4506-T Work Group, chaired by NCS Senior Vice President Cecil Bowman to develop a plan for electronic signature acceptance on the IRS form 4506-T, and allow the entire conventional loan origination process to be done digitally. Drawing on the expertise of a committed staff, most of whom have been here five, ten, or more years, we will be keeping you abreast of the latest developments in IT development, risk reduction, 4506-T service, information services, and government regulations. And, we'll be sure to occasionally throw in something fun! Please provide feedback to this blog post, or directly to us by phone or email.